My first copy of “The Sound of Music” was on a VHS tape in a battered yellow cardboard case. It had been recorded from television in the late 1980s or early 1990s by my grandma, and was given to me after I insisted on watching it (old commercials and all) over and over and over whenever I was at her house. Eventually, the tape became mine. For a few years, nearly every Friday afternoon was spent playing Monopoly (or sometimes Clue) with my grandpa and watching “The Sound of Music.” It didn't matter that I didn't understand the WWII references or that the love story largely went over my head — I loved the songs and the characters. I didn't even care that the movie was over three hours long. My love for this Julie Andrews classic has carried over seamlessly into my adulthood. I have many of the film's songs on my iPod, and my DVD copy of the movie was one of the few that I didn't sell before moving out of my apartment an embarking upon a round-the-world trip. 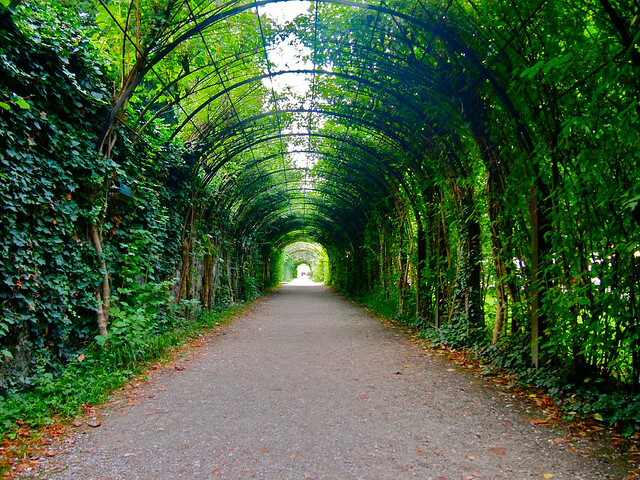 Naturally, I knew I had to eventually visit Salzburg and live out my “Sound of Music” fantasies. Salzburg itself is a city of music. 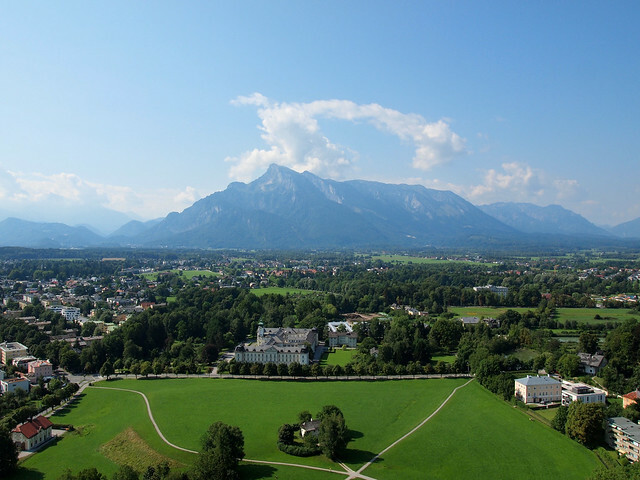 Home to Mozart and many international music festivals, this Austrian city is about much more than Rogers and Hammerstein's portrayal of the von Trapp family's story (in fact, the Hollywood version of the movie isn't even popular here in Salzburg, or Austria for that matter). But for this “Sound of Music” fan? The movie was all I could think about. As I strolled through the normal, touristy parts of the city — through Mirabell Gardens, around the Old Town, up to a lookout point — I couldn't help but recognize places from the film. And of course I was humming to myself the whole time. 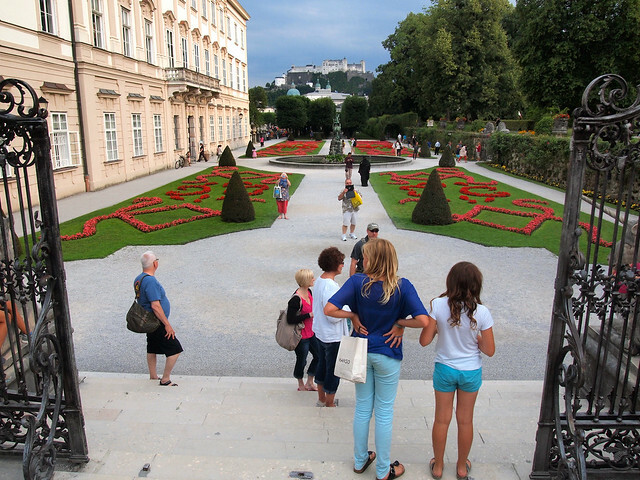 The gardens at Mirabell Palace are one of the must-sees in Salzburg, whether you're a “Sound of Music” fan or not. But if you ARE a fan, these 18th-century gardens will have you grinning. MANY scenes from the movie were filmed here, including a large portion of the “Do, Re, Mi” scenes. 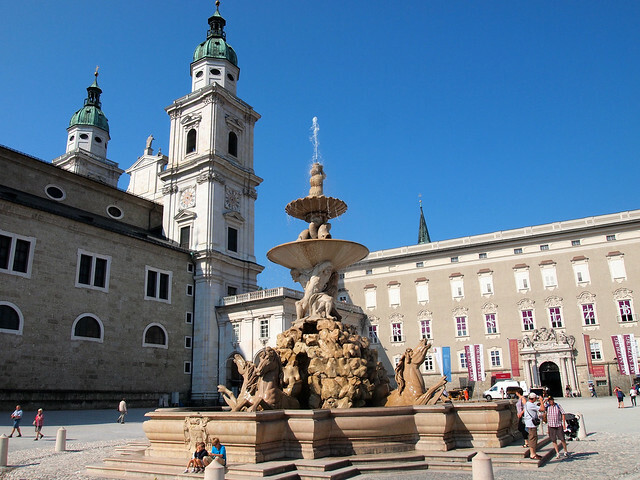 You might recognize the statues with raised arms and fists at the entrance to the gardens, the Pegasus Statue Fountain that the kids sing around, and of course the steps that the von Trapp children and Maria sing on, hopping up or down with each note. Here you can also find the vine-covered tunnel that the family dances through in their curtain clothes, as well as the “Dwarf Garden” featured in the “Do, Re, Mi” sequence (the kids march by and tap a certain silly gnome on the head as they pass). The steps to this garden are directly opposite the Pegasus fountain (across from the palace). 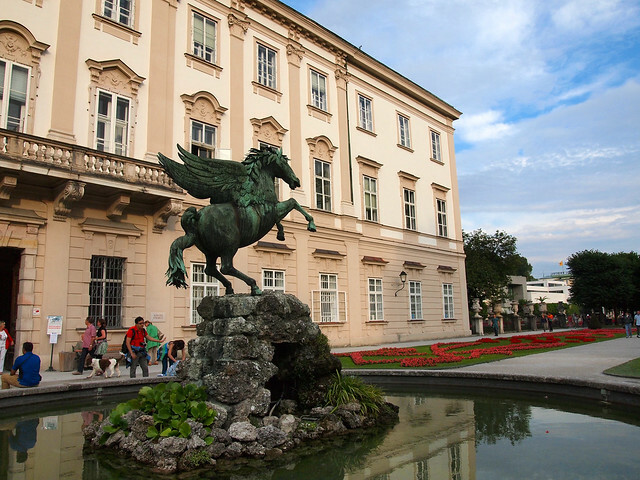 Speaking of recognizable fountains, the Horse Fountain in Residenzplatz is one that should be familiar. Maria marches into this square singing “I Have Confidence,” giving a confident splash in the fountain. Today it's a fountain, but the Horse Bath used to be just that — a place to bathe horses. The kids and Maria pass this in their curtain clothes after “My Favorite Things.” It's not an especially memorable scene, but the bath itself is cool and worth seeing. The von Trapp family house in the film is actually two different places in real life (well, 3 if you also count the sound stages that many of the indoor scenes would have been shot on). 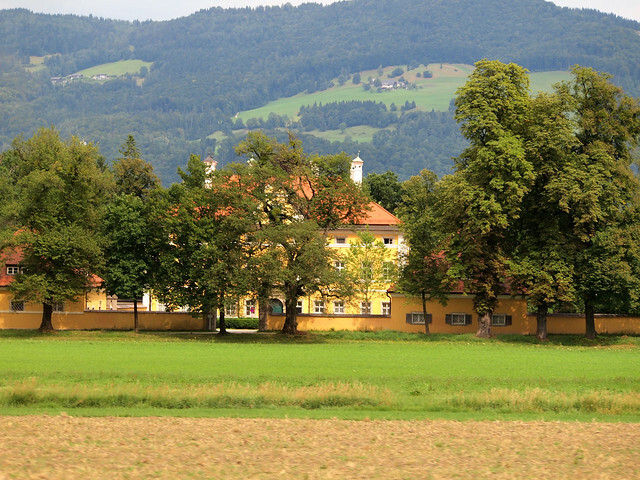 The first recognizable place is Leopoldskron Palace. 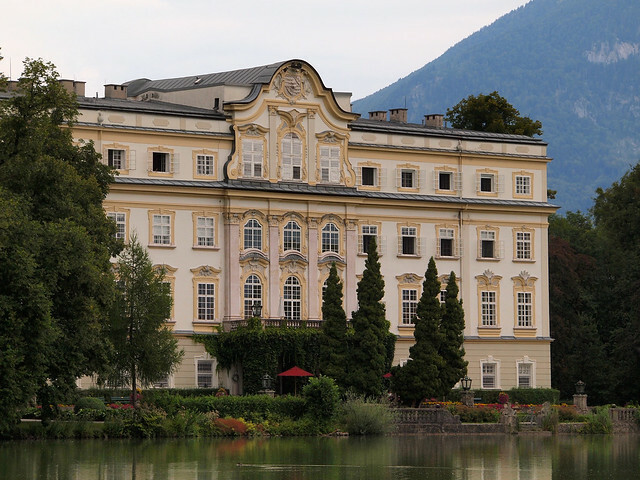 The back terrace of this mansion was used in quite a few “Sound of Music” scenes, including the one where Maria and the children tip out of a boat and into the lake while waving to Georg and the Baroness. A room in this palace was also supposed to be the inspiration for the room in which Maria and the kids put on the puppet show in the film. Not far from Palace Leopold is Frohnburg Palace. 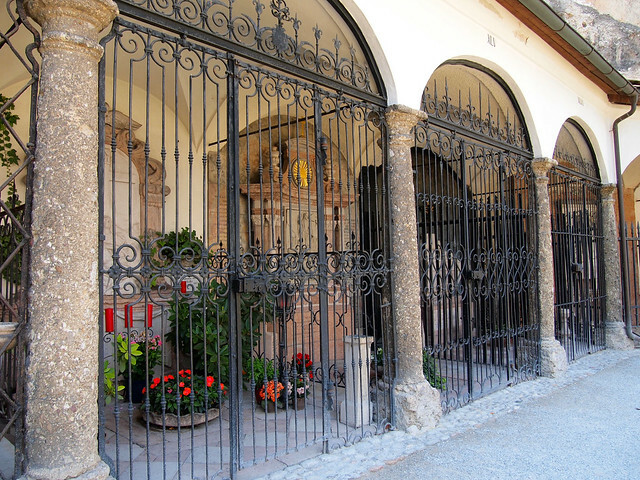 A private residence (and now actually a music academy), the front of this mansion (along with its gates) is what Maria first sees when she rounds a corner and sets eyes on the von Trapp family home for the first time (at the end of “I Have Confidence”). Want to re-enact the “16 Going on 17” scene between Liesl and Rolph from the film? 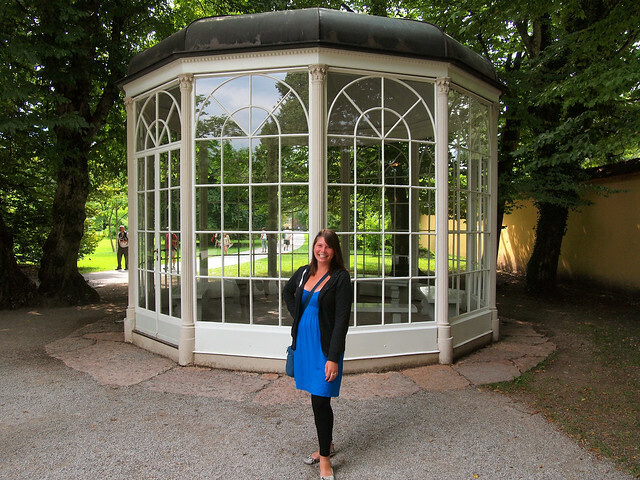 To do so you'll have to visit Hellbrunn Palace, where the gazebo currently resides. For the filming, it was actually erected outside Palace Leopold. But it's easier for the public to visit and pose in front of at Hellbrunn Palace (though sadly you can't go inside it anymore). 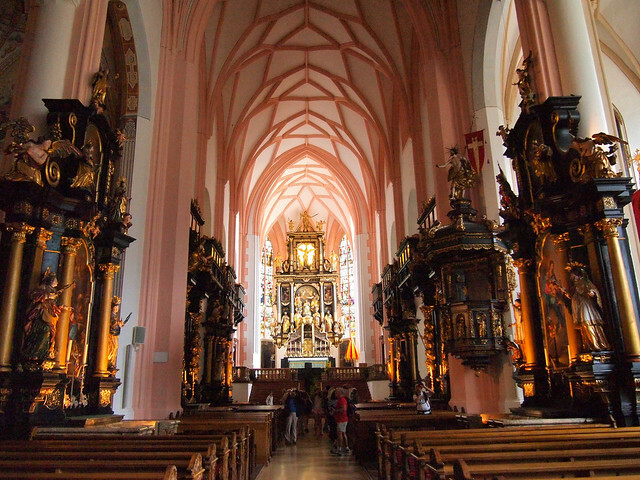 Even though it's a bit far from Salzburg (15 miles or so), the Collegiate Church in the town of Mondsee is well worth a visit. This is where the wedding of Maria and the Captain took place in the film — a stunning church of pink and white on the inside. You can almost hear the nun's chorus singing as you walk down the aisle. *These sites were all visited on a “Sound of Music” tour with Panorama. And no, I was not compensated to tell you about the tour — I paid for it myself and really enjoyed it! 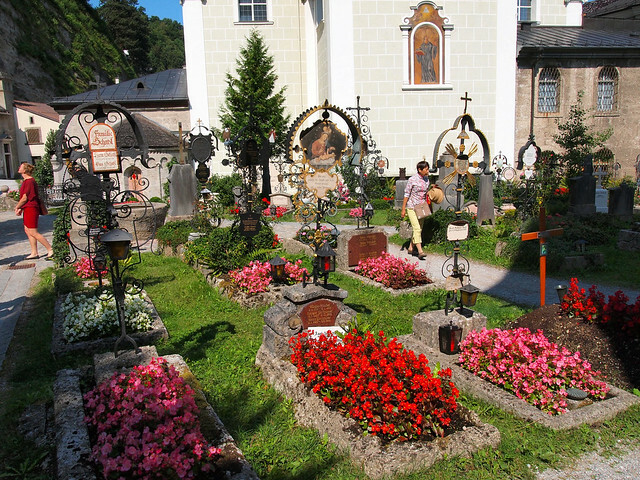 There are more sites to visit in/around Salzburg that are associated with “The Sound of Music,” of course — I just didn't have the chance to get to any others. Other places of interest include Nonnberg Abbey, the Mozart Bridge (the one Maria and the kids skip across in their curtain clothes), and the Festival Hall Complex (where the von Trapps perform right before they flee from the Nazis). 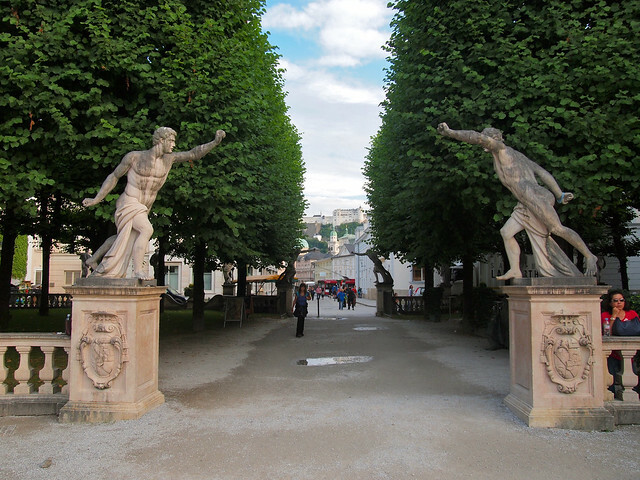 If you're a “Sound of Music” fan, chances are you'll love Salzburg just as much as I did! Which of these “Sound of Music” sites would you most want to see? *Note: I visited Salzburg as part of my Busabout adventure through Europe. Busabout has provided me with transport on all 3 of their Europe loops, but all opinions of the destinations I visit are entirely my own! Beautiful pictures of all the settings of the movie, they’ve preserved it very well. Amazing! wish I could visit it personally someday. Great post Amanda! Oh, I not only have the songs memorized, but a lot of the dialogue, too! Still one of my favorite movies ever. I’m so glad I finally got to visit Salzburg! Beautiful photos! I would love to take the tour. Years ago I found a copy of the Von Trapp Family Singers written by Maria. In the movie, the way they escaped the Nazi’s was fictional as was the relationship between the daughter and the young Nazi boy, but it would still be fun to take the tour! Yes, a lot of the story was altered to make it more “Hollywood” (which is one of the main reasons the movie isn’t popular in Austria – there was a German version made before the Hollywood one that apparently is much more true to the story). Still, though, the tour was fun! And wandering around and seeing a lot of the sites on my own was also great. Haha. It is indeed a very attractive city, whether you like the Sound of Music or not! I love the sound of music! 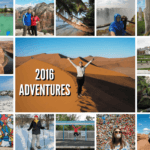 Other than sightseeing, what else did you do there? Was it a day-trip type of place or did you spend multiple days there? I was there for 2 days, Michelle. 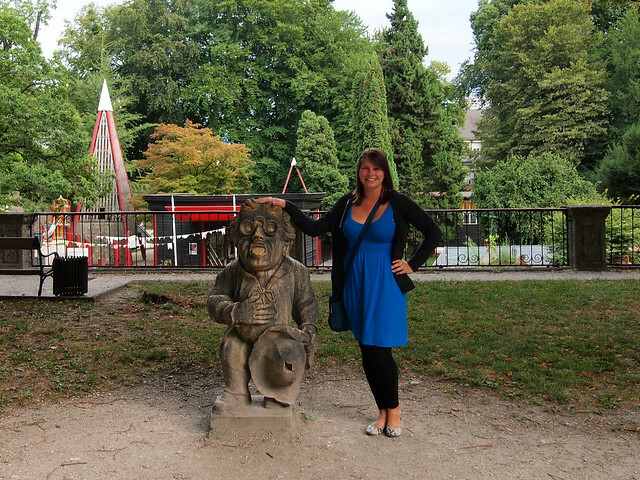 Check out my other Salzburg post to see what else I saw! Thanks for sharing! Happy travels. Yup, another lover of musicals right here! Glad you liked the post. Such an awesome movie and city!!! Love these pics! Thanks, Andi! It was really fun getting to visit all the movie sites! Salzburg is very pretty, even if you aren’t a SOM fan! 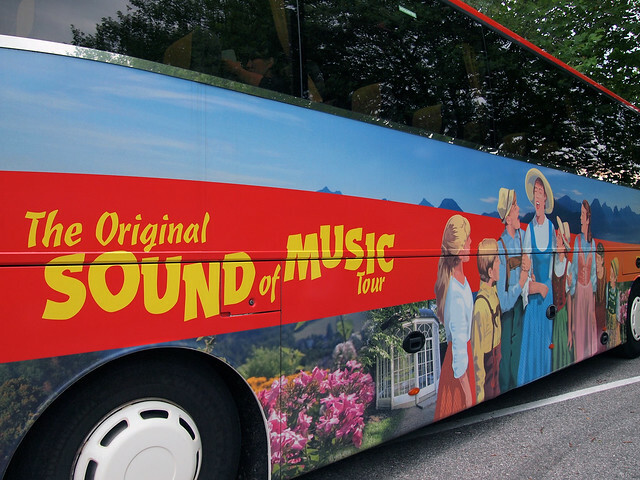 You’re now the second blogger who recently posted about her Sound of Music tour and I am so jealous! It is one of my favorite movies of all time and I don’t know if it’s a good or bad thing but I do know the lyrics to all the songs. My parents visited Salzburg on their river cruise last summer and it looks like a gorgeous place but being able to visit the movie sites makes it seem ever more magical! It’s one of my favorite movies of all time too!! I just loved this post. I too loved watching and re-watching musicals such as the Sound of Music and Grease. Thank you for sharing. I am really considering adding this to a trip if I am even remotely close. Loved your colorful photographs! If you’re a big SOM fan, you HAVE to get to Salzburg eventually! Wow! Your photos got us really excited for our Europe trip next year. They seems so real. 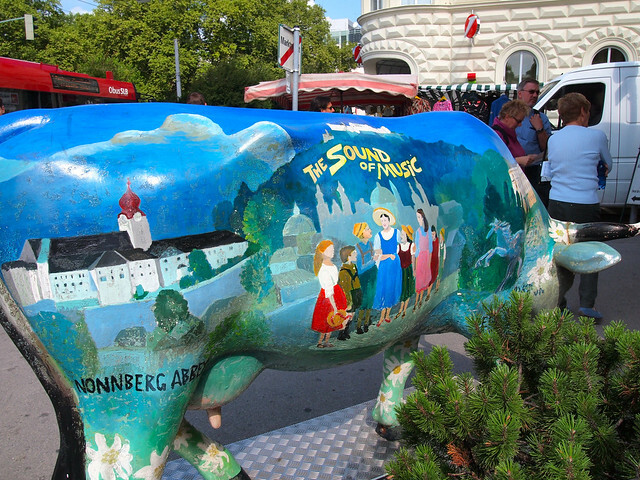 We definitely can’t wait to get to Salzburg because of this especially i grew up watching The Sound of Music. Wow. Just wow! 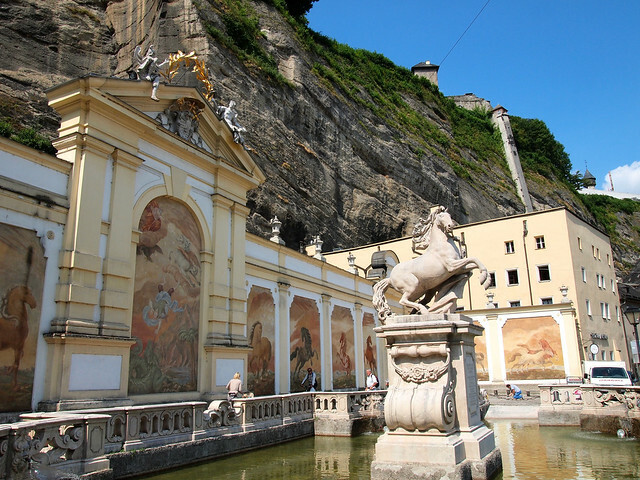 Wow Salzburg looks a great place to visit with so much to see and do even if you aren’t a sound of music fan. I’m glad you managed to go and visit the place you had seen and fallen in love with as a child, it must of been a childhood dream come true! It definitely WAS a dream come true! What a great post! I could rival you as one of the biggest Sound of Music fans and detoured a trip to Vienna five years ago to make a trip to Salzburg. I was shocked at how beautiful and enchanting the city is and absolutely fell in love with it. Your pictures are stunning and has fueled my need to go back soon! I was really surprised with how awesome the city was, too! Haha! The hostel I stayed in in Salzburg played it twice a day, too! I watched it the evening before I went on the tour so everything was fresh in my mind. So cool! 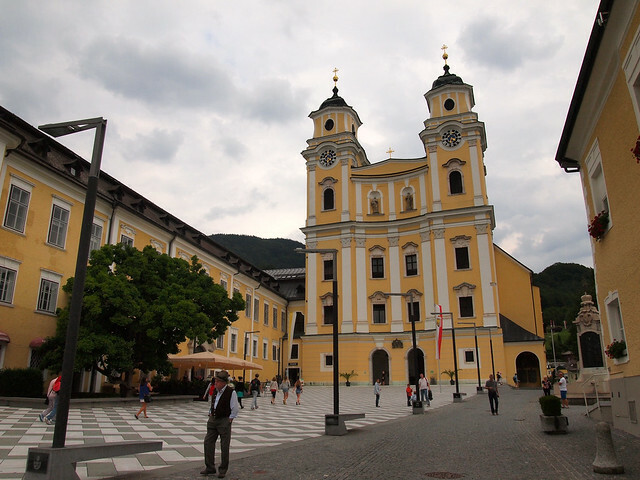 we did a sound of music bicycle tour in june, and it wasn’t that it was tough, but i found it stressful maneuvering the old town streets with tourists, locals who are clearly biking experts, and cars or buses. sadly, i think it impacted how i felt about salzburg b/c i so expected to love it more than i did. Aww I’m sorry to hear that! But I understand what you mean. I went on a bike tour in Amsterdam once and it was actually really stressful because of how much bike traffic there is there! I didn’t enjoy it nearly as much as I expected to. This was awesome. I loved the Sound of Music and we are going to be in Austria next year! Can’t wait to visit some of these amazing places and see the beautiful countryside. Thanks for sharing your story and pictures. Great post. 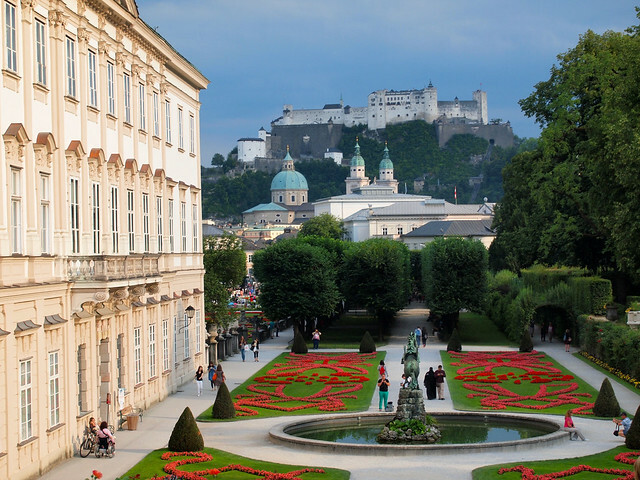 If you love the Sound of Music, then be sure that Salzburg is on your Austria itinerary!